In order to sell your home for the right price and within your ideal timeframe, you need to make sure that it is in excellent condition from top to bottom. This means cleaning up some key areas of your property and boosting its appeal to picky buyers. Too many sellers only focus on exterior curb appeal. They think they can slap a new coat of paint on the outside of the house and hang the “for sale” sign. In today’s competitive housing market, that won’t cut it. To position your home ahead of other properties on the market, you should turn your attention to tile and grout cleaning. Buyers are turned off at the first sight of dull, dingy or damaged tile and grout, yet many sellers overlook these surfaces. Investing in professional grout cleaning ensures that your tile floors are appealing enough to attract the maximum number of prospects. 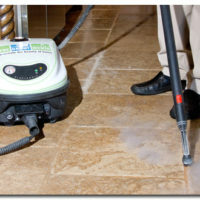 Make sure all of the rooms that will receive grout cleaning have furniture and other obstacles removed. Before the grout cleaning starts, you’ll need to sweep the tile floors to remove any loose sand, dust and dirt. The cleaning solution should be high quality. You can use those that have brightening and cleaning characteristics. Apply some it to small areas of the grout and tile. Allow the solution to sit on the tile for a little while, so that it can help to loosen up the dirt that is set deep into the pores of the grout. Afterward, use a wet-vac to rinse the area three times using clean water. 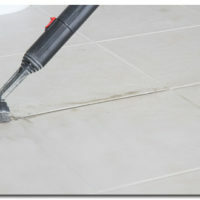 Professional tools and cleaning solutions are required to give grout its cleanest and most appealing look. This is why it’s recommended to hire a grout cleaning expert before you show your home to prospective buyers. To have a professional tile and grout cleaning contractor restore the beauty of your home’s floors before an open house, contact The Grout Medic today! We’ll follow an in-depth grout cleaning checklist to ensure your surfaces look like new again! For more help selling your home, contact The Ascent Group. As experts on real estate in Greenwood Village and the Denver Metro area, they can provide valuable tips to help you sell faster and for more money.